My vision has become saturated by flashing shapes that look like patches of oil spilt on a tarmac road. They are growing and it is impossible to see. My hands have become so numb that I am frantically biting at my fingers to try and remember what touch feels like. Confused, I stumble anywhere away from the lights, noise and people that have become distorted, I am now trying to talk but no one understands me. This will continue for an hour until my head begins to pulsate in agony and I will vomit multiple times from the pain. This can last up to three days and it will take me even longer to recover. What is wrong? I am one of the eight and a half million people in the UK that suffers from migraine. There are 200,000 migraine attacks every day in Britain, with the condition affecting one in five women and one in 15 men. And whilst it is the leading cause of disability for all neurological disorders and one of the top ten – according to the World Health Organization – most debilitating conditions ever, there is no cure for migraine. Thought to be the outcome of temporary changes in the brain’s blood vessels, chemicals and nerves, migraines are a system defect in the brain and something that just isn’t supposed to happen. And whilst little are known about them, they are even harder if not impossible to predict. He gestures toward the harsh artificial light above us and the window from which we can hear west London’s traffic. “The brain spends most of its time being inhibitory, while you are talking to me you are not aware of the lights being on and the noise outside, we cut all that out because it is the only way to live. When you get a migraine, you lose this inhibition and you are flooded with all of these,” he says. Perhaps more worryingly, medication solely researched and developed for the purpose of treating migraine is rare. But, recently and promisingly, late-stage clinical trials published in The New England Journal of Medicine have offered a potential drug that could make it on the migraine market. It is a monoclonal antibody named, Erenumab. For Afridi, these could be of significant benefit to sufferers. “There have been some exciting drug developments in the form of monoclonal antibodies, which I think will potentially improve treatment a lot,” she says. Erenumab takes the form of an injection and is a specially-designed lab-made protein created to target a specific molecule in the brain, in this case the CGRP molecule (calcitonin gene-related peptide), as this is known to affect the migraine process. It is made up of identical immune cells that block the CGRP receptor in the brain, the only drug known to do so. Phase III of its trials was completed at the end of last year and this was tested on a total of 955 patients. The patients were split into three random groups; the first were given a 70mg monthly dose of Erenumab for six months, the second a 140mg dose and the third were given a placebo. The result? A 50 per cent or greater improvement on the average number of days affected by migraine per month. 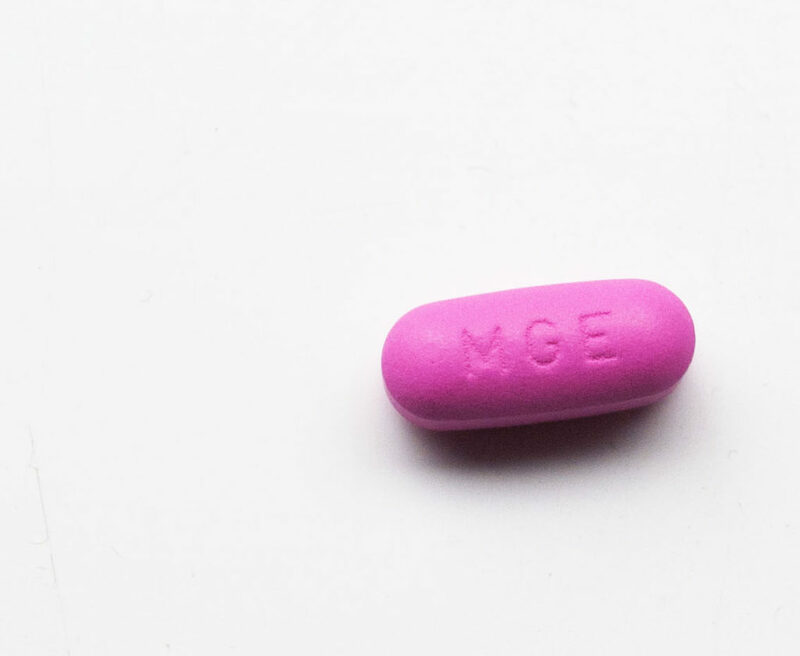 It is exciting to have this new drug on the horizon, but it is still not going to be, if it is even approved, on the market until at least 2019, which means migraine sufferers are still waiting for a cure. 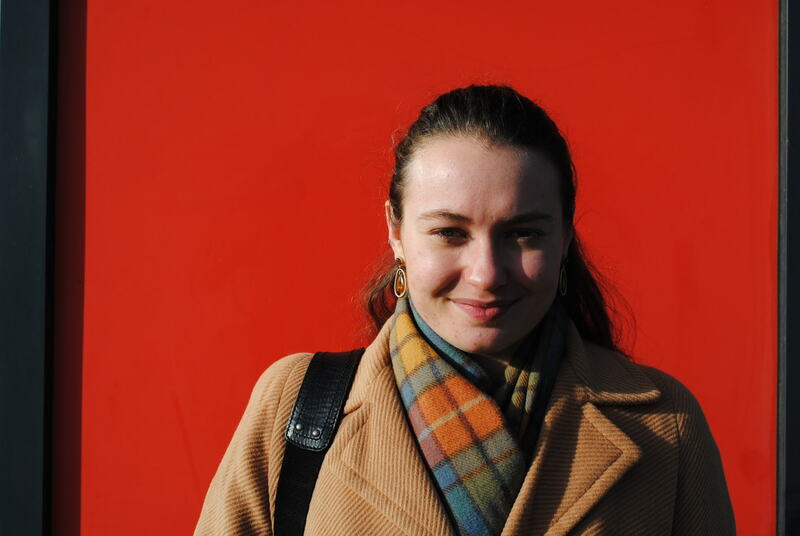 One person who knows migraines better than she’d like is 20-year-old student Amelie Iselin. The memory of her first migraine is hard to forget. Amelie Iselin has suffered from migraine since she was six-years-old. Pic: Maddy White. Iselin offers me a choice of green teas, either one from her trip to Japan or another she picked up at the local supermarket, we both pick the first, as we talk about our shared experiences of the pain and attempting to ‘live’ with migraine. She says: “It’s horrible because you are in so much pain you want to cry and actually just crying makes it so much worse.” I tell her I understand this, and say that I’ll tend to crawl toward the nearest bathroom, lie on the cold tiles and cry. At one point, it got so bad for Iselin that she found herself on the verge of a serious accident. Gesticulating to make her point, she says: “I live on the fifth floor of my flat in Paris and I saw a staircase going to the building opposite. I opened my window to step on to the window sill toward the staircase and I snapped out of it, with my foot on the ledge. 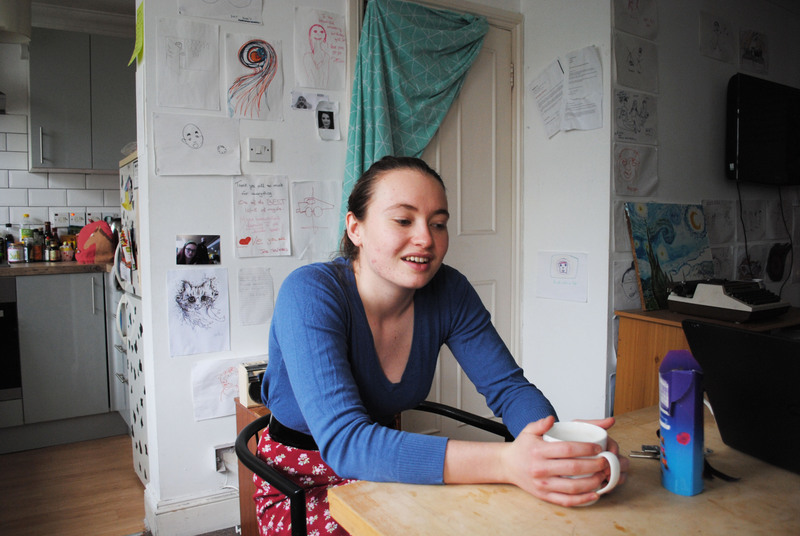 Iselin in her home in south London. Pic: Maddy White. Iselin’s story reminds me of a hallucination I had at a friend’s house. I knew I was on the brink of a migraine as I was losing my vision. I was becoming disorientated and numb, when I saw a giant spider, the size of a small dog, scurrying all over me. I was terrified, jumped up and ran out of the room. It is experiences like these that only migraine sufferers can appreciate. “People who don’t have migraines don’t understand. I go into this zombie state and thoughts that come normally to me, stop coming and I can’t remember things,” Iselin says. 70-year-old Margaret Lammiman sits on her wooden chair in her house in Kingston and explains how she describes migraine pain to others. Margaret Lammiman in her home in Kingston. Pic: Maddy White. And many people do not even believe migraine is a real condition. She seems frustrated and pulls her hair off her face. “People hear the word ‘migraine’ and they think ‘oh it’s just a headache’. It’s nothing,” she says. Dr David Bloomfield has been the chief executive of the National Migraine Centre in west London since September 2017. He is a scientist and has previously worked in the electronics industry as well as other senior positions. Bloomfield says the charity is unique and goes above and beyond any other, as they treat their patients and nearly all of these clinicians suffer migraine. Incredibly, he didn’t used to take migraines seriously at all. “If an employee said they were having a migraine, I would immediately assume they were swinging the lead,” he says with a rueful smile. When Katie Lloyd, 28, a researcher of gastroenterology at the University of Liverpool started suffering from migraines at university her life changed abruptly. The condition was crippling, she says. “I only started getting migraines in 2010, when I was in my second year of uni. And while Iselin’s dad doesn’t suffer, her mum does. According to the NHS over half of people suffering migraine have a close relative with the condition. Both Iselin and Stott speak about their mums’ relationships with migraine as well as their own. Iselin says: “She apologises. She is like, ‘I am sorry I have handed this to you, I know it is a curse, I am sorry’. She feels so guilty and obviously it’s just knowing she is going through the same thing makes it actually more bearable. 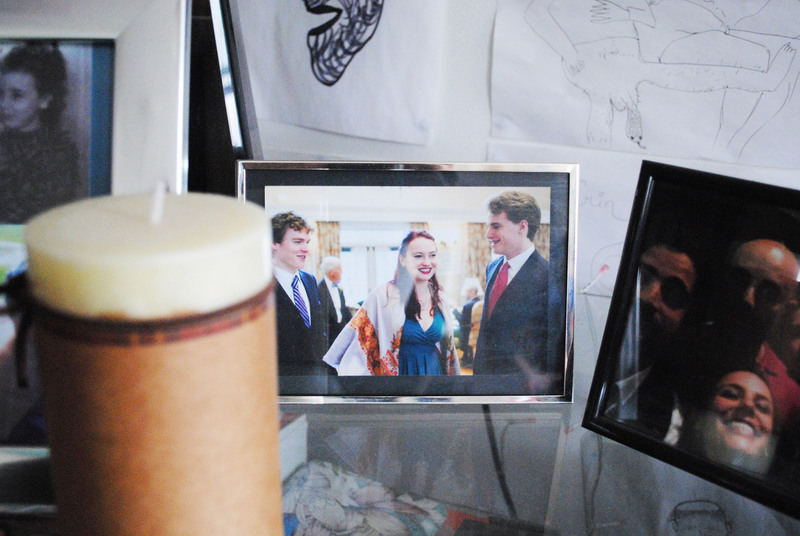 Iselin is pictured with her brothers. Pic: Maddy White. Migraines are much more prevalent in women than men. 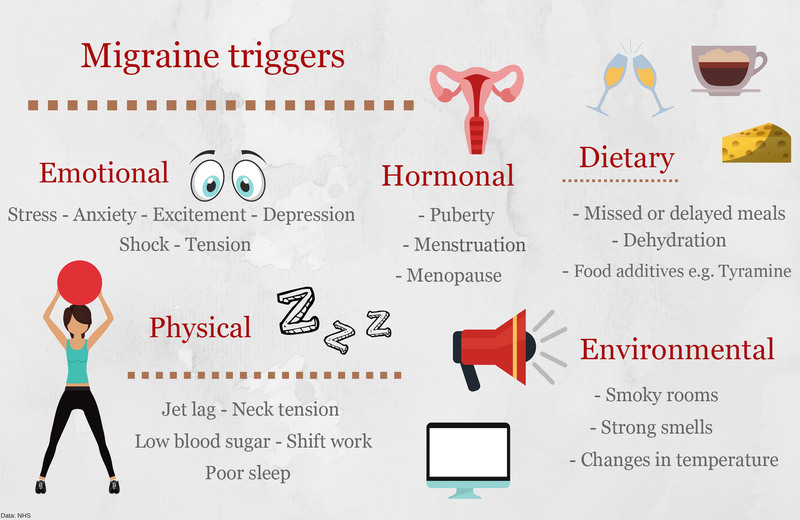 Often triggers are hormonal, caused by puberty, menstruation and menopause. “Every time I get my period it is hell,” Iselin says. Even more shockingly Iselin speaks of her extreme reaction to contraception. “I have recently had the implant in my arm and now when I have a migraine, I cannot see, I go blind. It must be linked,” she says. But migraines can be triggered by many other everyday activities. I tell her I was permanently excused from DT in secondary school because every lesson the vibrations from the machinery, even if I was just in the room, would induce a terrible migraine. I tell her the teacher thought I was faking. I tell Stott of one of my most prominent triggers: red foods. Something that experts have said is “bizarre”. Strawberry Cornettos and ice cream triggered the worst ones, every red fruit, strawberry laces, glacier cherries, strawberry syrups and pink wafers, anything and everything red. I became, and still am, scared to go near any of them. Iselin says of when she relaxes after a stressful period, that this can induce a migraine. 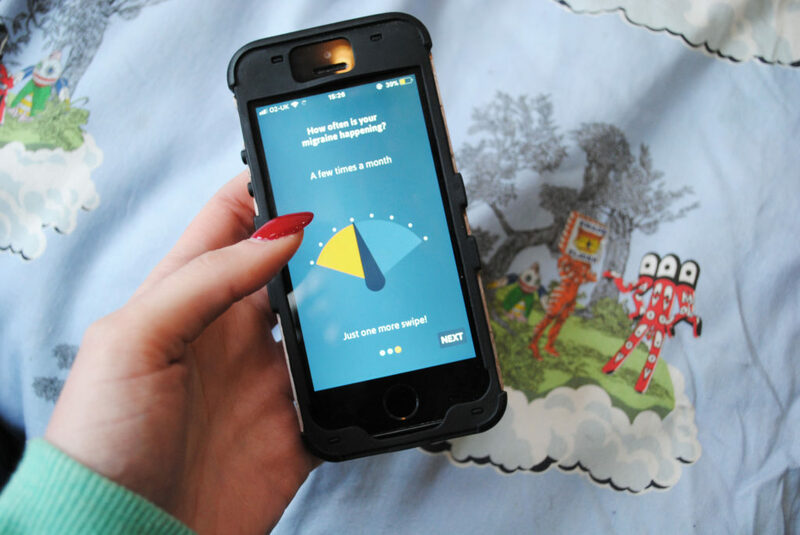 “I can feel my body holding one off during a stressful period and then the second I relax, it is a five day migraine, it’s like my body is scheduling it. “When you start thinking about everything that triggers migraines there is no way you can possibly live a life that is worth living,” she says. Trying to avoid migraine for a sufferer is not a realistic goal; it’s avoiding everything. What is more realistic is gaining a legitimate medication, which works as a cure. But considering migraine costs the UK economy £3.42 billion ever year according to a report published by the All-Party Parliamentary Group, how likely is that to happen? Migraines have been recorded through history for thousands of years. One of the earliest examples of its acknowledgement dates back to 1500 BC in ancient Egypt, where a description consistent with migraines was written in the Ebers Papyrus – a 110-page Egyptian medical scroll documenting ailments and remedies to them. If migraines are a condition that people have been aware of for thousands of years, how have they been treated historically? Trepanation, a process documented in the Hippocrates text, involves extracting bone from the skull by drilling, scraping and chipping. The oldest trepanned skulls date back to 10,000 BCE north Africa and it has been widely speculated that trepanation has been used as a remedy for migraine. In the early 20th century, physician Sir Thomas Lauder Brunton published an article in the Journal of Mental Science suggesting that ancient stone age skulls, with holes drilled into them had been done so to cure migraine. 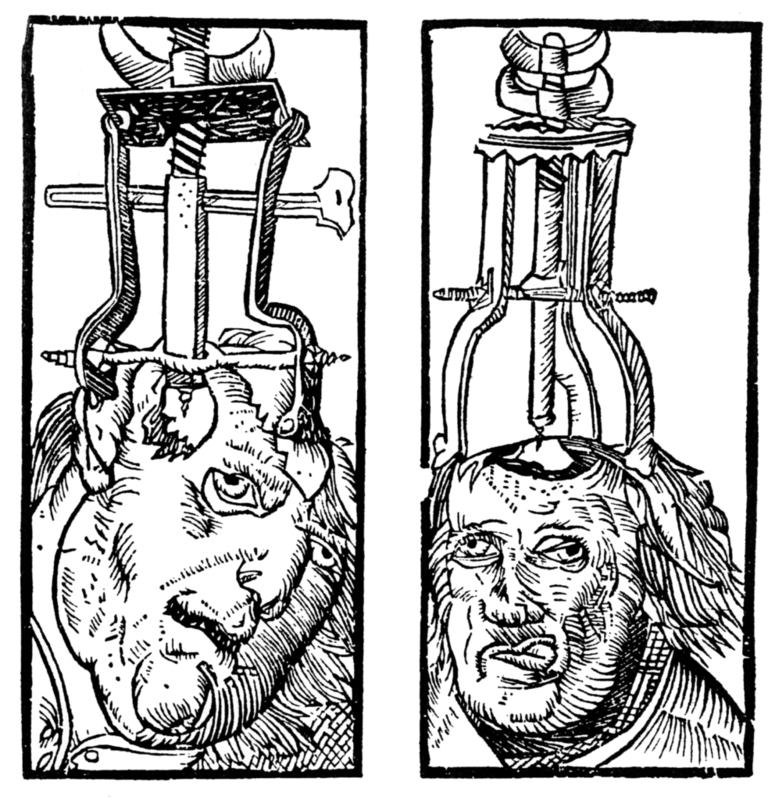 Either way, trepanation isn’t exactly common practise now, so how are people coping? From botox to support groups, to preventative measures like beta-blocker Propranolol, to the Triptan drug family, to smartphone migraine apps and diaries, the urgency to try anything that might relieve migraine is ever growing. Sufferers are desperately searching for relief. 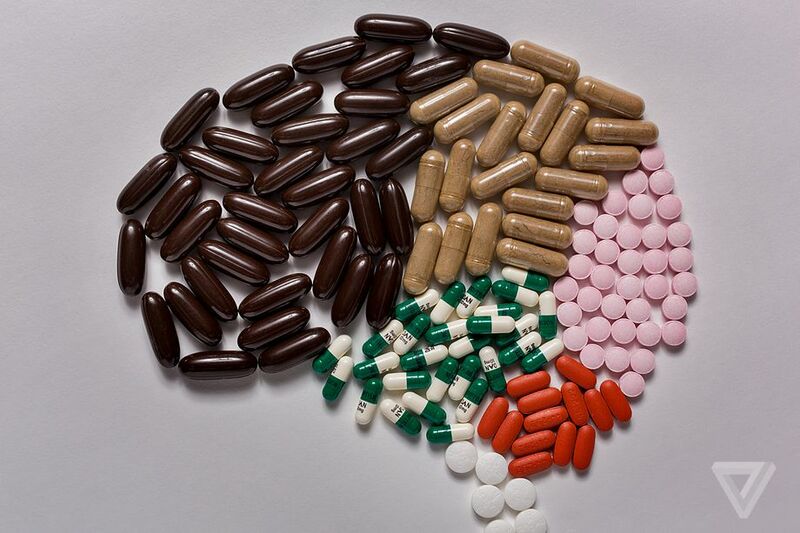 A common treatment used to combat migraine attack is using a Triptan drug, of which there are eight types available on prescription. These were developed over 20 years ago and have been the most recent advancement in migraine specific medication. 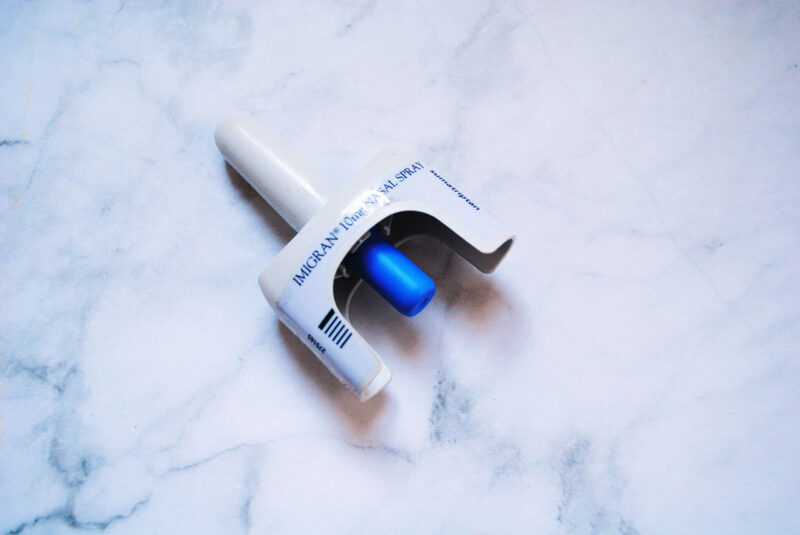 They do not work to prevent migraines as Erenumab has been designed to do, but rather ease symptoms when a migraine occurs. Lammiman speaks of Triptan drug, Imigran that she has in a nasal form. She gets up and looks in her cabinet for her sewing box, where she says she keeps everything. “They are preloaded with about a quarter teaspoon of medicine and they taste a little bitter. You take them as soon as you know you have a migraine,” she says. Stott speaks of the preventative medication she uses, Propranolol. She takes 40mg in the morning and again in the evening. Propranolol is initially used to medicate anxiety, but it has proven effective in preventing some cases of migraine. Iselin says of her strained relationship with medication. An illustration of historic migraine treatment, trepanation. Pic: Wiki Commons. I tell Iselin how I was excited to try Migraleve, a combination drug marketed to counter migraines. As soon as you are aware of an attack you take two pink tablets and then if the migraine persists, you take two yellow tablets four hours after. Perhaps unsurprisingly, neither tablet eased the pain. Iselin pauses as she begins to speak of her mum and the problems she has encountered with migraine medication. Iselin sips her green tea. Pic: Maddy White. Often sufferers will speak to several specialists and try many drugs in order to find the one that might be able to offer some respite, Booton acknowledged this. And what about the cosmetic treatment that paralyses underlying muscles resulting in nerve-blocking effects, which can counter migraines? Booton tells me of the first migraine patient he treated with botox. Resting his hands on the table, he says: “She lives just up the road from me and for her, it has completely changed her life. She didn’t have a life before and now, she still gets quite a lot of headaches, but she is out there getting on with things. Migraine sufferers are optimistic, because with incurable conditions there is no other way to be. Iselin is one of those positive sufferers searching for an effective treatment. “I have heard there is progress in curing migraines with the new trials and I’m praying that a cure for them does happen in my lifetime”. The potential practical problems of new wonder drugs like Erenumab cannot be overlooked too. Lloyd says: “From working as a researcher in science, I know the costs of making these drugs and that this will be the major issue. How can migraine sufferers accept this? Considering the condition results in 25 million lost working days every year in the UK, the only reason that there is a lack of research and funding is because migraine is not seen as a legitimate illness. And really, have medical professionals ever done enough, from treating patients to finding a cure? “Migraines are subjective”, a GP once said to a younger me and too nervous to speak up at the time, I let it slide. I say this to Sally Flatau and Sally Willis who are sitting with me and Lammiman. Flatau looks irritated at this suggestion and says she had to quit her job and now works from home because of the disruption of migraines to her life. “It is not subjective at all, that GP needs to be struck off. That is not okay,” she says. Ergotamine’s side effects at low doses can cause nausea, and at higher doses can result in high blood pressure and vasoconstriction. This can cause serious conditions like stroke, as it damages the brain’s blood vessels by causing them to narrow, leak and rupture. Lloyd is cautiously hopeful on the idea of wonder drugs and supposed medical breakthroughs. “From a researcher’s point of view, complex conditions particularly ones involving the brain, are difficult to explore because the research we are doing is adding to our understanding. 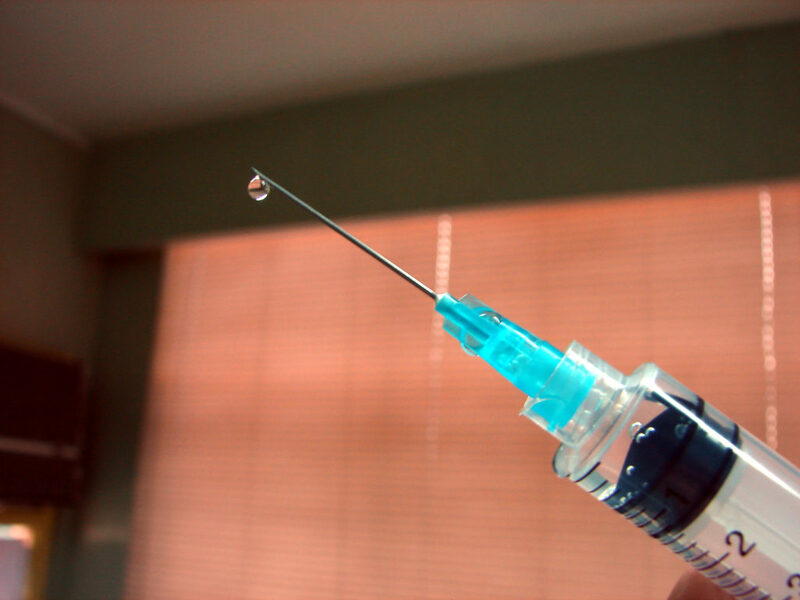 Erenumab, while promising, will need to be further tested until its efficiency and side effects can be licensed by the European Medicines Agency, then assessed by the National Institute for Health and Care Excellence and then eventually be made available on the NHS, providing it is viable and its cost is not too high. And how long could that take? Until this happens or more intensive research that results in a resolution is done, the many women who have spoken up about their condition will have to live with the stigma and incurable condition that is migraine. Something that reduces quality of life, is completely disabling and isn’t understood or even sometimes acknowledged by medical professionals.